If you have kids or personally know any, you know there are usually only two food groups they like: anything sweet and anything salty. My kids lean toward the latter group. If it has salt, they’ll eat it (unless it’s green, ew!). Even food most people would think are plenty salty already they think isn’t salty enough. It’s like watching a traffic accident at the dinner table. You can’t help but be stunned. Thankfully, lately, they’re learning that they have limits. They’re finally learning that there is such a thing as too much. What happens if you put too much salt on something? It ruins it, doesn’t it? What if we add just a pinch of it? It’s better, right? It’s sort of like Goldilocks, not too much and not too little. Just as it is with food, it’s the same balance we need to find in our faith so we can effectively interact with the world. We want to add just enough salt to enhance the faith of others as we work to preserve our dedication to the Lord. It can preserve food so it doesn’t spoil. It enhances the flavor of food. It aids in giving life by retaining water in our bodies and assisting our hearts to pump so everything functions correctly. Without salt, it would be very difficult to maintain a proper food supply and create great tasting food. But most importantly, our bodies wouldn’t work properly, and maybe not at all. It’s so essential to good health. Let’s take a closer look at what salt means to God. People in Jesus’ day didn’t have refrigeration, obviously. So, to preserve their food, they used salt, especially when the mercury was on the rise. Besides preserving food, it was also used in the grain offering. God wasn’t just telling the people to add some seasoning to the grain. He was commanding them to be loyal. Remember that salt is a preservative. By putting it in the grain offering, taken together, it was an outward sign that the people would permanently preserve the holy covenant God made with them. Even in these modern times, believers need to remember the covenant that God made with us. It is a covenant of love and forgiveness that was given when Jesus died on the cross to redeem us from sin. Jesus Himself tells us to remember this new covenant in Luke 22:20 during his last meal with the disciples. It was Passover and Jesus was leading the others through the Jewish Seder ceremony in which four cups are shared, each cup representing something specific. When Jesus got the third cup- the cup of blessing- Jesus said, “This cup is the new covenant in My blood, which is shed for you.” If you’re Catholic, then you’ll recognize that this verse and the one before it about breaking bread was the Eucharist. If you’re not Catholic, then you will more recognize it as holy communion. Jesus was establishing a completely new covenant that night, a new agreement, a new promise with us. If we confess our sin, surrender to God, and follow Him, then we will have eternal life with Him in heaven. 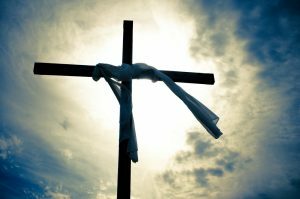 His death on the cross means that we have been redeemed. 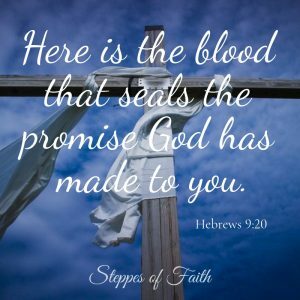 By His blood, He paid the debt we were supposed to pay for our sins, which is eternal suffering in hell. When we accept Christ into our hearts and believe by faith, then we have entered into this new agreement with Him. God always keeps His promises and so should we by honoring and preserving God’s covenant with us. We do this by sprinkling a little salt on our dedication to God every day. The salt we use today for cooking keeps its flavor and effectiveness for a long time. But have you ever tried to cook with sea salt or mineral salt? They don’t have as much flavor as common table salt. If there’s little or no flavor, what’s the use of it? Clearly, salt is an important factor not just in our faith, but also when we share the Gospel with others. 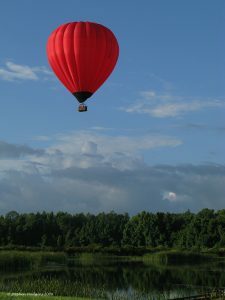 We want to attract others to Christ, but we don’t want to over- or underwhelm them. Just a pinch of salt (of your excitement and joy in Christ) will add enough flavor to your conversation so others will see that God is good. Psalm 34:8 invites us to, “Taste and see that the Lord is good.” How do we do that? You guessed it. In our physical bodies, salt is an essential mineral or element. Without it, we set ourselves up for some pretty terrible harm and possibly even death. It’s a part of keeping ourselves healthy and functioning. In other words, it helps to keep us alive. In the same way when it comes to our faith, salt gives life. With its power to preserve and enhance the flavor of our faith journey, it enables us to maintain a healthy, Christ-centered perspective that functions with joy and peace day by day. The Sermon on the Mount is recorded in the books of Matthew, Mark, and Luke. Each book’s telling of the sermon is slightly different. 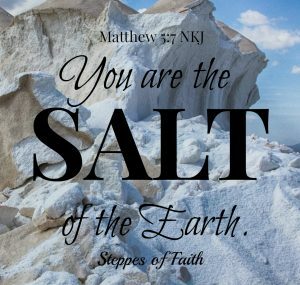 In Matthew 5:7, as we just discussed, Jesus talks about salt losing its flavor. Now turn to the book of Mark. The fire Jesus is talking about here is a warning of what happens to those who refuse to obey God. As for the salt, it’s important to season our faith with it so that our faith will be kept alive and our dedication to God strong. Also, the power of God’s word working together with the Holy Spirit will help us to produce a godly character within us that will help us to (here it is again) act as a preservative of the faith. So, if we salt ourselves, the end result with be a stronger relationship with the Lord and peace with each other through Him. 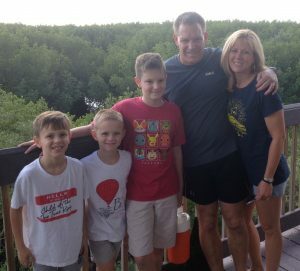 Sharing our faith and remaining dedicated to the Lord are essential parts of our walk with Christ, which is why Jesus chose salt to illustrate its importance. Adding pinches of it will preserve our hearts and commitment to the journey we’re called to. It also adds flavor to our relationships and interactions with others so that, through us, they will be drawn to Christ. All of it results in giving life to our faith and to others when they experience the peace of God. Just be careful not to use too much salt with those around you, especially unbelievers. Like my son pouring it out over his mac and cheese, too much will ruin what you’re trying to do. Just a pinch will do. Let the Holy Spirit guide you to the right measuring spoon. Who knew that salt could do so much? You’ll probably never look at your dinner the same way again. 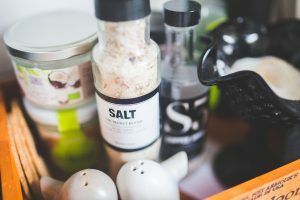 You may have known about the goodness of salt in cooking, but have you ever thought about how it applies to your faith? How can you add a pinch of salt to your interactions with others? Come join the conversation right here. I’d love to hear your comments and suggestions. 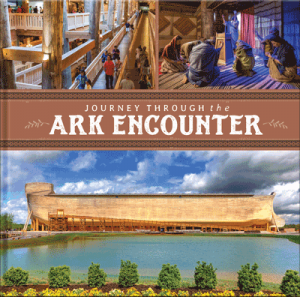 Interested in learning more about God’s use of salt in the Bible? “The Salt Covenant: As Based on the Significance and Symbolism of Salt in Primitive Thought” by Henry Clay Trumbull is an excellent study in how God used salt to make a point and establish His promises. Click here to learn more. If you’d like to know about what Jesus said in His Sermon on the Mount, you can read chapters 5-7 in their entirety in the book of Matthew right here. ‘I’ve aIlso learned that there is a difference between GOOD salt and the cheap junk.You need even less if you use the good stuff because the flavor spread better. The cheap junk really doesn’t do anyone any good. Applying this being careful with the words you chose is the good salt, while just spewing words like “this too shall pass” is the everyday salt. I’d rather have thoughtful wisdom sent my way seldom than the everyday stuff that not only isn’t helpful, but doesn’t taste good as you over apply it always. I agree that it’s important to be careful not to overdo it on the salt. We should definitely use our words carefully as we use the good salt of God’s holy word. Thanks for reading!